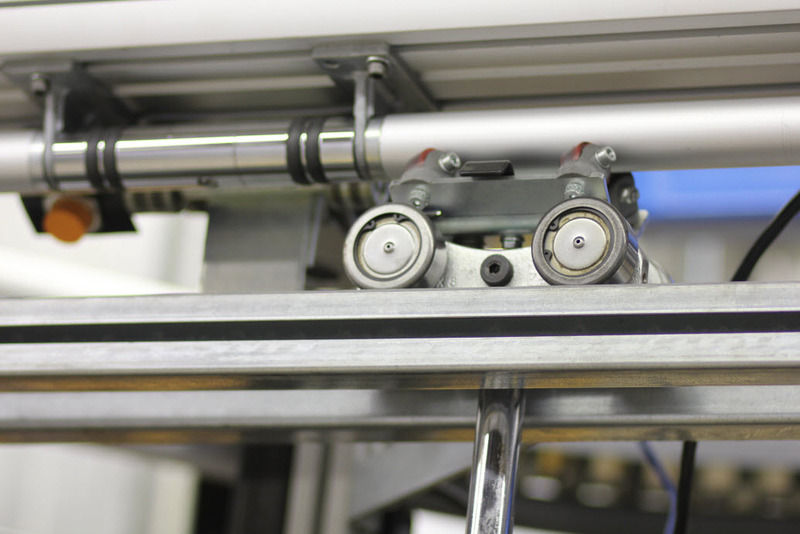 The selection of a conveyor for your powder coating system or liquid paint system at your manufacturing plant should be based on the features and benefits of each of the conveyors, part and process requirements, as well as your business goals. The layout should be configured to move parts from the loading point in the fabrication area through the finishing system to the unloading point in the assembly or shipping area. 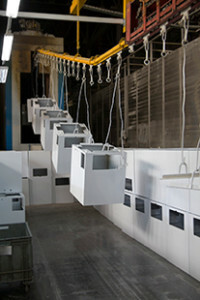 The goal is to minimize wasted movement, damage to the parts and personnel while providing the desired finished quality. 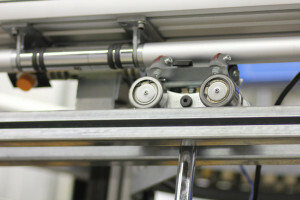 A monorail conveyor is simple and efficient but lacks flexibility. Overhead monorail conveyors have the load-carrying and the drive functions combined in one element—the endless chain. 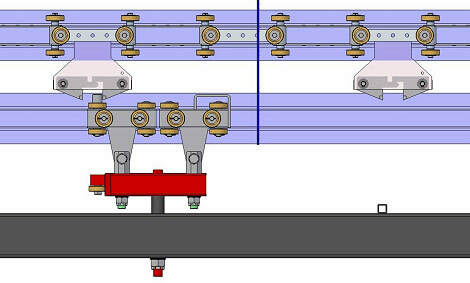 The chain is guided by a rail system based on either an I-beam or an enclosed track. A take-up unit ensures that the chain is pulled tight as it leaves the drive unit. A caterpillar drive or sprocket drives the chain. Parts are suspended from the chain by special attachments or load bars. This conveyor can follow only one path. No other paths or spurs for masking, maintenance, labeling, loading or unloading are typically part of a monorail conveyor system. Power & Free conveyors use a two-rail system and pusher dogs to allow for more flexibility than a monorail system. 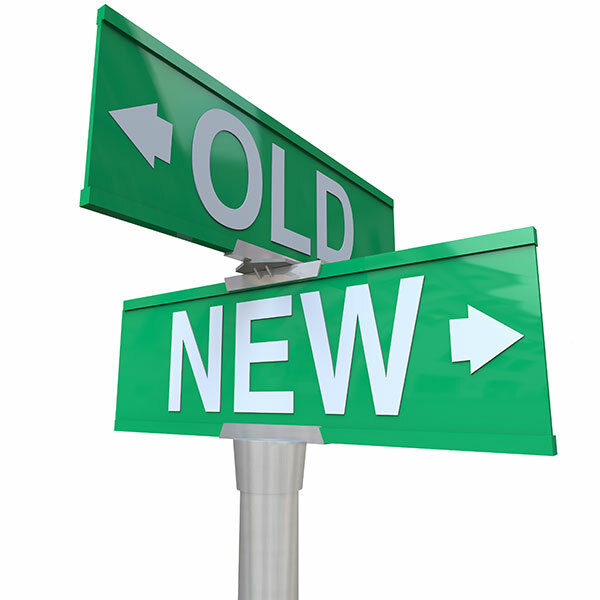 Overhead power and free conveyors are two-rail systems. The trolley is the load-carrying element and is located below the chain. The trolleys use the lower “free rail” and the chains are in the upper “power rail.” Pusher dogs establish the connection between chain and trolley and can be engaged (dogging and de-dogging) and disengaged as needed. The “free rail” can be equipped with switches, lifting stations or stops to allow the trolleys to follow different paths, or be lifted or lowered, stopped or moved at different speeds throughout the system. The entire conveyor system is PLC-controlled. An IntelliFinishing conveyor system provides ultimate flexibility using a spinning tube friction drive requiring no chain. The IntelliFinishing conveyor provides even greater flexibility than power and free because the movement of the trolley is performed with a spinning tube by a small motor. Each section or zone of an IntelliFinishing conveyor may be independently controlled with a variable frequency drive (VFD) and the entire system is PLC-controlled. Data handling and smart controls with recipes for a variety of parts provide even greater flexibility and automation. With “no chain”, driving the system, many of the issues like maintenance, noise, chain jams, take-up problems, lubrication ruining finished parts, de-dogging, floor space for return chain, etc. are not an issue for an IntelliFinishing automated finishing system. The trolley (propelled by the spinning tube) moves forward and reverse which provides more layout options and decreases production stoppage and downtime when compared to power and free conveyor system.